The count variable contains the frequency of occurrence of each test score; this is specified in the FREQ statement. The output, shown in Output 106.2.1, contains the results. 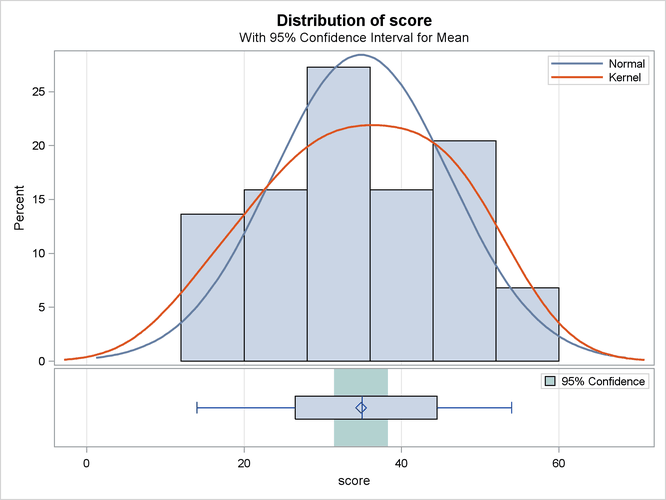 The summary panel in Output 106.2.2 shows a histogram with overlaid normal and kernel densities, a box plot, and the 95% confidence interval for the mean. 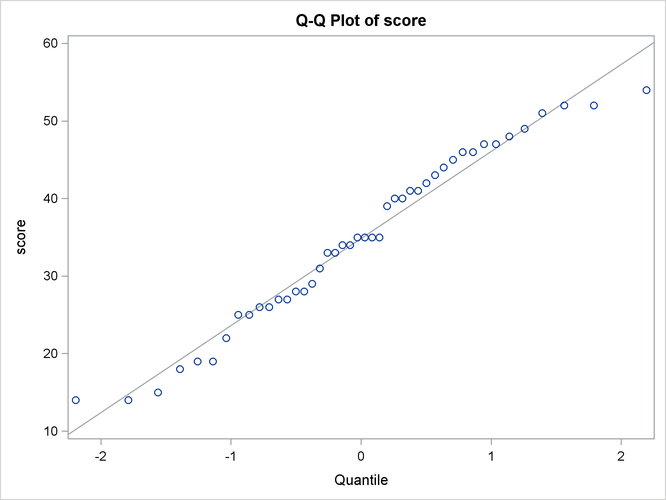 The Q-Q plot in Output 106.2.3 assesses the normality assumption.